Outside is cold, inside is even colder. The snow is something you just have to get used to because this time of year everything is the same. South of the lowest point of our planet is a place which is very cold. Only the strongest people can live there. It was only a matter of time before robots would take over. The snow patrol man had boots made out of man made furs. The snow patrol robot was man made too, he had rubber soles, big eyes, big feet, big everything. The snow patrol man learned to like having the snow patrol robot around. But is wasn’t always that way. People started to get beef with robots about ten years after they hit the mass market. They took a lot of jobs and used lots of electricity. They looked like something out of space comics, they had big bald heads and were designed so they look like something from another planet. The BBC and Amazon all tried different ways to take over the robotics sector. In the future these companies are not very big. It all started a few years from now. Hiring young people, paying low wages and treating staff like dirt. Robots were very attractive to these and many other big companies. And robot manufacturers knew all this years before they ever launched these worker robots. They made them look like they were from outer space because they knew one day beings would come down from outer space and perhaps feel lonely. Anyway they didn’t want the BBC or Amazon getting their grubby hands on things. The snow patrol man was a big advocate of the robot manufacturers. A film with Robin Williams as a Robot who lives helping a family for numerous generations. In the near future robots are made to live alongside humans helping them do daily chores. As the patent changes overtime, the fear of humans taking over the workplace slowed down further research. Robin Williams play’s a very unique and responsible robot who thanks to his friendly owner’s managed to slip through the reversal and deactivation of most other owner’s. A fun film full of interesting test’s and turns. 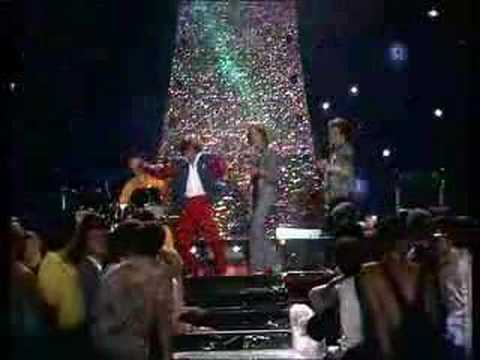 Robin Williams show’s interesting sides of his owner character in the robot star of the movie. His relationship’s over the years make him a very clever robot. He succeeds by asking for small incremental changes, thought out from research online and books around the house, from the library or online. His skill’s gained the same way helps him start making money. He gets a bank account and with his own hands builds a condo by the beach. He gets lonely and curious about human emotion’s. As the money came in, he spent wisely by investing in his own personal development and sharing the wealth with every skilled human he came across. For decades he searches all over the world for other models the same as him. He meets a female robot similar to his outer casing who dances and sings. Unfortunately she is a newer dumbed down model restored by a clever robot maker that owns a business by the coast of California. There are many turns in this film. Although the script is very simple and the line’s of actor’s simple and performed well, the background and locations are simple enough for viewers. The emotional impact of this film is very revealing. There is also interesting peeks into future medical science, robotics in general and cybernetic human replacements. I rate this film, good family viewing, is funny and could also be classed as romance. Trash Robots are eating away at the trash inside us and working outside the atmosphere to take out the trash there. 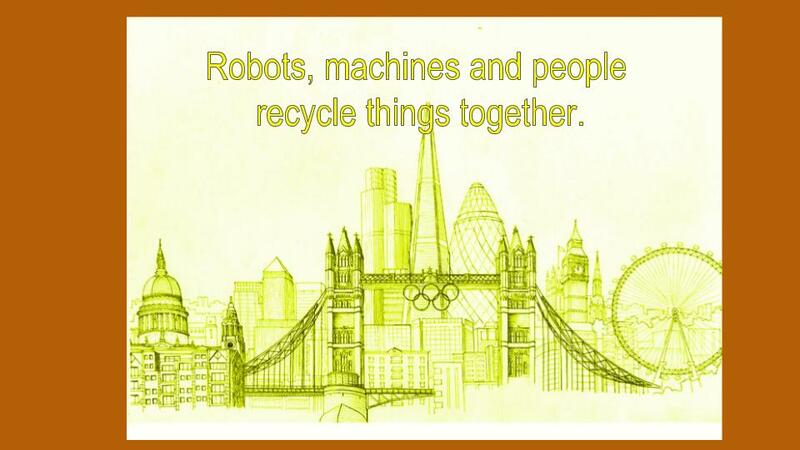 Robots who recycle things have to be very intelligent to remember all the different types of rubbish in and out there. Trash Robots are not new concepts. We already inside have nanobots that can do all the grunt work for us. When ever somebody gets ill we could send these boys in transdermically to assess and micromanagement the situation. Out in the field’s we could easily make giant haystacks in the knowledge’ all is good. Trash Robots spreading silage from all the organic inside trash. Like clouds and rain they are set and forget. Like clock’s we wind them up to save energy. Or we could give them windmill hats so they blend in with the other farmers wives little children. From an aerial view point Trash Robots hover like helicopter’s assessing situation’s. They should be able to detect the best crops below. And spray natural chemicals to make everything natural rather than geo modified produce. They can lift up and take out the trash and put it someplace safe so we can as a human race crack on regardless. When it comes to gardening in this day and age, we should not have to bury ourselves in the sand. Neither should we make do with our own allotments alone. In the future a Trash Robot is a friend for life. 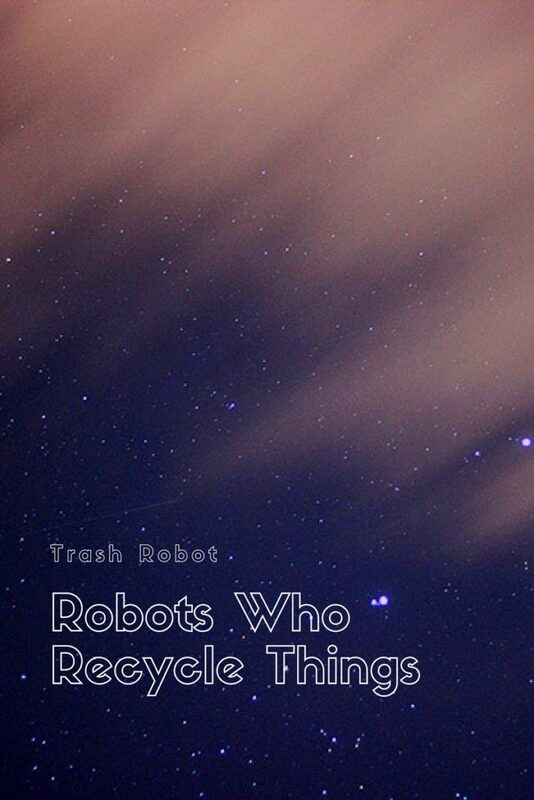 Trash Robots have green fingers and should be very good at taking out the trash. Trash Robots taking out the trash is a whole different ball game. That said they will place by similar rules. Once we inject them into people’s bodies like bar codes they should have simplified the whole process. Small particles that remotely move around the blood stream. Micro robots busy taking out the trash with a patented filtration system. They should last much more than a couple of month’s. Doctors should from computers be able to access viewer inside you bodies. If any problems show it will be from Trash Robots X Ray glasses specially designed to see everything. Trash Robots inside will mean goodbye to all those stool sample’s. They will be sorting out chaff from wheat. Smaller than unboiled pearls of barley and big enough to potter about our bodies all day, until finished whatever chores they should be doing. Both Trash Robots are pious enough to tell one another when updates are due. New organisms evolve from the next antiseptic wipe effecting our insides. Our tolerance levels grow as the atmosphere changes. We breath in and exhale rubbish. The carbon dioxide like tree’s overtime no longer grow as long as they should. 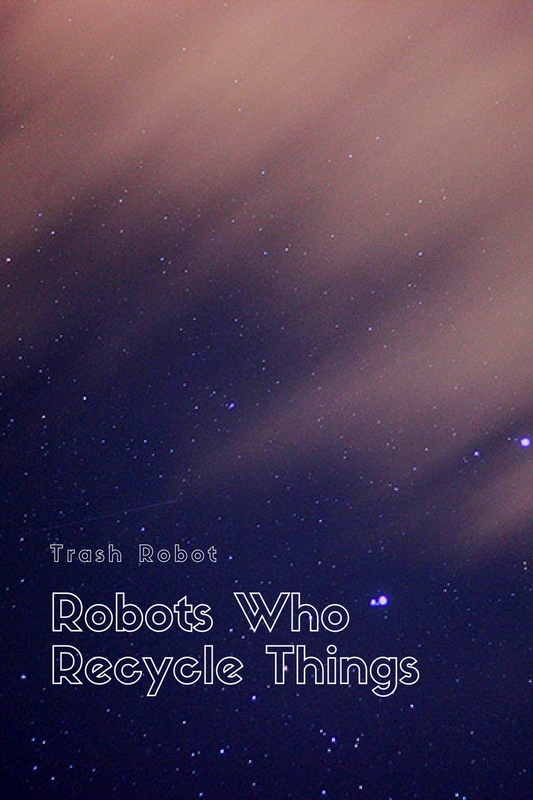 Trash Robots are made locally. There should be no need for importation from Ali Baba, eBay or Amazon. They will do the things that are impossible for us as humans. They each have their side of the fence and we still get to sit on our own fences. We could even make nice straw hat’s for them in Spring and Summer. 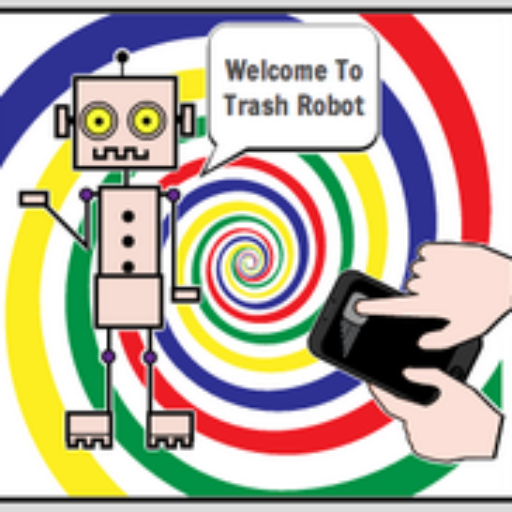 There are robots who recycle things and machines that do all the recycling. Advances in robot technology have thrown a lot of people of course. Many of us thought technology would inspire us to do more recycling. By example we thought we could help landfill problems around the world. We would look to new ways of dealing with municipal waste. Those days are gone, machines are now available to deal with plastic waste. The 3D printers have opened up an industry where a robot can shine and the machines they or us use are tools. Plastic bowls are being made from plastic mincers. Companies are looking for all different colours of plastic to put in the mix to make a tie dye design bowl or beaker. Collecting the plastic is still a chore for the family. The beach clean, the trip to the dump and the methods used in the home are jobs for humans. In the factory there are robots, they are programmed to work with machines and be nice to people who bring plastic to be recycled. Still a lot of people do not want to meet face to face with machines. They much rather someone be there when they ring the bell. Opening hours are limited and sometimes people are on a yak butter tea break. Watch She for more Robot fun. Trained dancer and body builder stars in this sci-fi eighties movie. Watch films with robots in. Robot movies include characters playing artificial beings after the Cancellation. Sydne Rome in Some Girls Do. Some Girls Do released in 1979 from Pinewood Studio’s is an amazing spy-film recorded the same time as a James Bond movie. This is a mans world and the agent Drummond is surrounded by beautiful women many of whom are actually robots. Flicky played by the lovely Sydne Rome is my favourite character, she has lovely blue eyes. She is also a popular Italian singer who sang duets with the likes of Julio Engelias. This film has a funky soundtrack electronic music perfect for robot movies. These robots are very life like, drink water and provide human resources like waitressing and escorting. Some are finely tuned to be assassins. I hope you watch this film because even though it is nearly 40 years old the special effects are really cool. Look out for the robot vacuum cleaner and the supersonic weather beater. The advances in Robot technology is in line with all new technology. There are cities around the world that depend on advancement. In this post I outline some of these areas and how they are helping advance Robot patents. Open source software and legal requirements have many loop holes depending on which country you live in. When the practical value outweighs the patent and legal requirements a surge of companies jump on the idea. Robots are not human, however the technology influences the humans to get creative. Areas in the work place that require accuracy are a great place for robots. On the other side of the fence Robots can replace human responses. Extensions to man can make him (or her) stronger. Robot hardware in the field is pushed forward in movies, factories and star of events. Robot doctors are put in place to diagnose and do simple operations. Equally robots can make trades, sell at certain times and pick up on trends and triggers. We see Robots in China being centre stage at events, in shopping centres and cartoons. The rate of growrh in this sector in say Shenzen is a necessity for the city to grow. 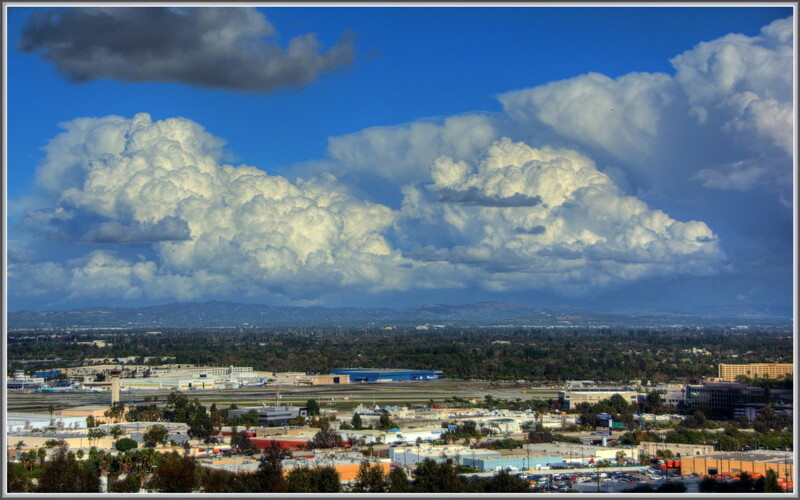 The city is already growing rapidly in a short space of time. Robots are the centre stage for this sort of symbolism. People want to where Robots on clothes to show there support for the robot in the world. Testing robots outside of a Crash Test Dummy environment is the problem. Digital robots tuned to trigger when certain actions around the world occur. This depends on many syndication settings. Robots help investigate the quickest route to the destination. Google already have robot driven cars, taking the driving liscense out of the picture. We see Robot cops in films but I argue the world is not ready for this. 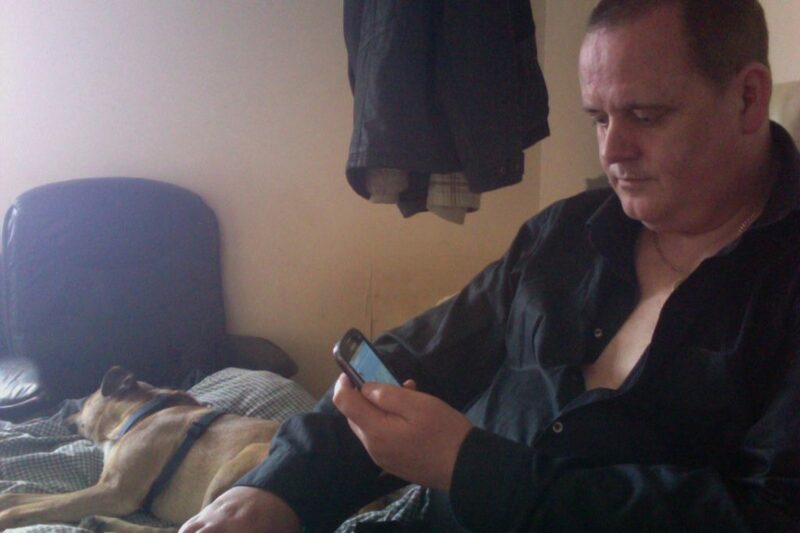 Man hackers can quite easily take control, duplicate to outlaw the patents. The advances in Robot technology a too vast to mention here in one post. As it happens I will do my best to report. Please subscribe. Drones for Amazon in the UK need to pass the board of safety the CAA. Robot enthusiasts use drones to monitor and video the landscape. The drones fly about 350 ft in the air. So what’s the difference between Drones for delivering goods and drones for recreational purposes? The consensus seems to be the safety board CAA need to check the line of site in the air. The tests is of a distance of 10 – 15 kilometres. If you can see from such a distance on a clear day then the pass should come about. Drones around the world are used for all sorts of purposes, mainly filming. This brings a new edge to filming remote landscapes. However I am sure rules will be in place contrary to whatever laws and passes, surveillance drones claim. Imagine seeing a drone with a camera on it flying over the Amazons. The indigenous tribes maybe fearful of this sort of thing. So some sort of StarTrek protocols need to be put in place. Imagine a drone which was able to enter a Star Gate that travels millions of miles, or a time portal. This would give us a new window on the world. This sort of thing in the imagination is already possible using CGI, photoshop and Disney animation type software. The mind is possible of amazing things. 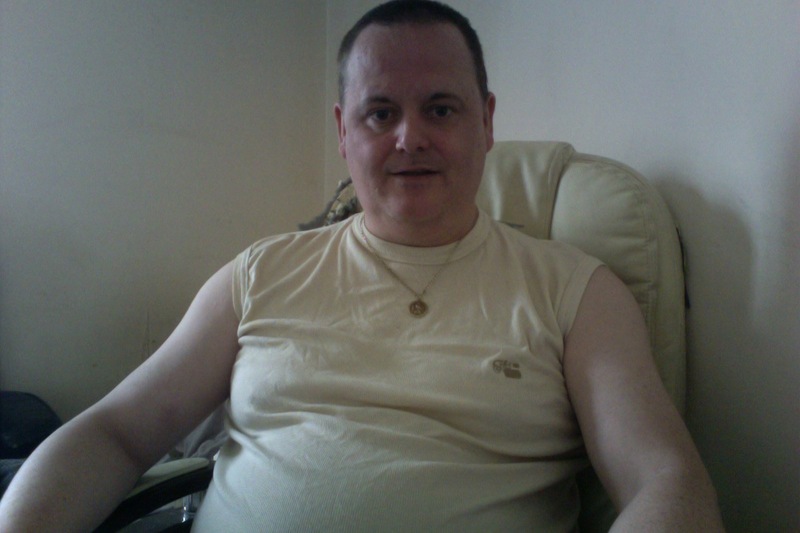 For many years supposed gifted people claim – to have the gift of remote viewing. There has never been a true test to prove this. However some of the tests made using envelopes with photographs and inside the envelopes the RV of certain characters have proved positive. Missing people have been found and perpetrators have been found in the strangest locations. If we look at the drone hobbyists we can see their passion and motivations for investing in this sort of technology. The same people who have flown miniature remote control planes, boats and helicopters may well be interested in messing about with drones. The same people who went out and bought Google Glasses or the latest Mobile device will understandably want to take these devices up in the skies and make videos. Drones provide them all these sorts of solutions. There is also advancements on solar powered engines which means these drones can stay in the sky for longer durations, travel further into the field and keep the costs down. The bone of contention is about the privacy issues. I imagine like James Bond has a licence to Kill, the intelligence drone has a licence to film. The question then is whoever issues these licences should be looking to bend the rules a bit. And hopefully this does not conflict with how Amazon drones are already delivering packages or bite into how important parcels are monitored? If wars can be prevented and terrorists identified and arrested, this is a good thing. But if like that film ‘Eye in the Sky’ shows a bombing campaign can be executed, then we should put a stop to these unmanned weapons. Even sending in jets flown by humans bombing innocent people is wrong. I confident agencies understand this simple stuff and are doing all that they can. I’m droning on a bit now, so I leave it there. If you have anything to add about drones, or are in a particular field of robotics or as parents you want to share you expertise go ahead. 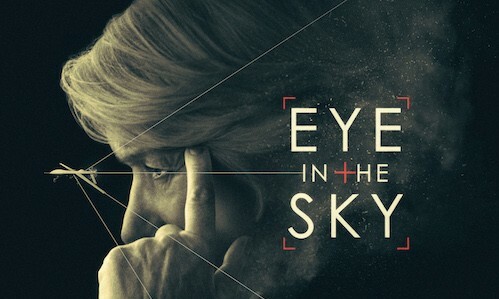 Below is a clip of ‘Eye in the Sky’ starring English actor Helen Mirren. I Trash Robot first found out about this film on the side of a red double decker bus advertisement, three months after its original release. So there may have been sanctions on trying to release this film to the general public. Watch the highlights and decide yourself. 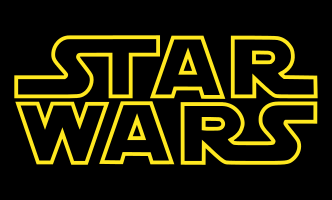 StarWars VII The Force Awakens starts of where StarWars VI left off and it looks really good. There are many trailers for the film but this one is so far my favourite. The great thing about StarWars are the robots. 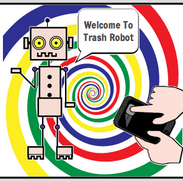 That is partly where the idea of trash robot came from. I liked R2D2 and it does look like a dustbin. The director of this film is the same director who did Transformers (another film with robots in). Anyway I won’t bore you much more, here is the trailer below, if you like please be sure to share with all your mates. Ex Machina made pleasant viewing the special effects are outstanding and the film does a good job of bringing emotion into the narrative between humans and robots. There are decent up and coming characters in the film who are all likeable characters. In the film you find out that the Ex Machina is actually a women. The creator thought it fitting to make the robot a she. Interestingly there is not yet a female plural of a female or for that matter male robots. The full movie can be viewed over on YouTube for $3.49 and I have included a link, check it out its called Ex Machina. Just a subnote if you are wanting to watch this film I think there is a certificate on the film. Ex Machina has been rated as a 15 so be mindful if you are watching this with your children. Ex Machina is a pleasant enough film and there are plenty of surprises. Everybody that I spoke to really liked watching this at pictures. Its one of those films where you just want to drop everything and go to the cinema to watch on a bigger screen that what you would have a home. YouTube is good though and its lot easier than going to video rentals.